Indiana Boxer Rescue View other Boxers for adoption. Meet Moe! 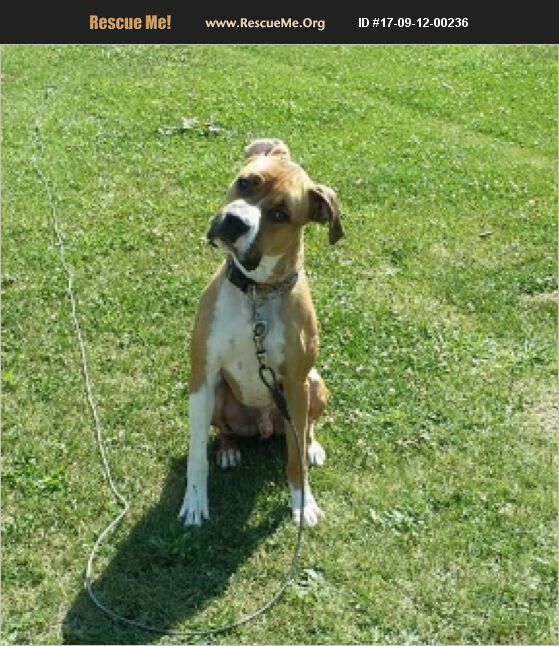 Moe is a 1.5 year old boxer mix who was pulled from Muncie Animal Control at the end of July. Moe was labeled as aggressive, but he has shown zero aggression with us (and we have pushed him to see it). He definitely has a boxer personality and is very smart and a quick learner. He has been a total sweetheart here at the sanctuary. He is all puppy and can easily entertain himself with toys. Moe gets along great with dogs and plays well. Moe is great with dogs, cats and is amazing with children. Moe would do best with older children due to his energy level and may be too rough with little ones. He is house and crate trained and is now fully vetted. Moe needs a fenced in yard with plenty of daily exercise and needs an experienced owner with the breed. Interested in Moe? Please complete an adoption form from our website www.animalhousesanctuary.org and email to AHSAdopt@gmail.com. Questions/Inquiries can be directed to Cindy at 609-992-6649.